Gold Bug Island is home of the East Cooper Outboard Motor Club and offers a unique venue for your event. You do NOT have to be a member of the club in order to rent it. Located on the Intracoastal Waterway between Mt. Pleasant and Sullivan’s Island in South Carolina, it offers some amazing views of the South Carolina Lowcountry. 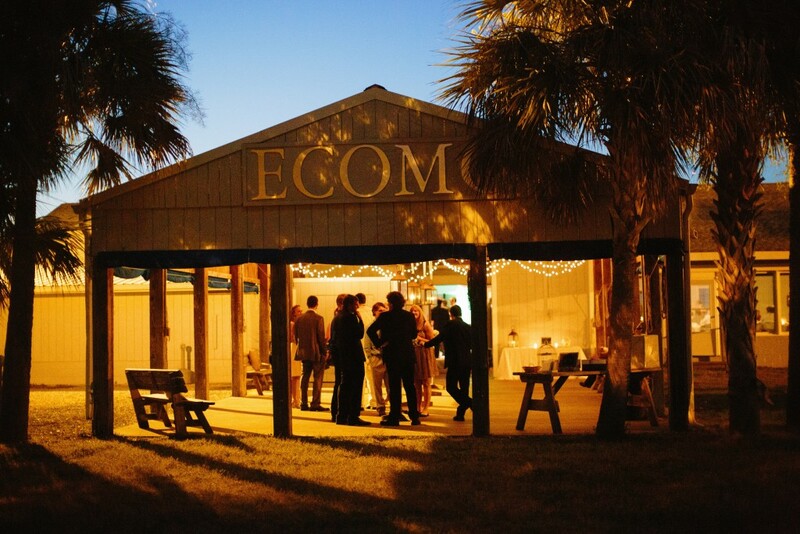 Founded in 1957, ECOMC is a non-profit club whose members hold several fundraisers each year. This year we have allocated $36,000 to be given to local charities and scholarships with the money that came from the rentals and fundraisers by the members at Gold Bug Island. Over the last half-century, it has become a Lowcountry tradition for weddings, receptions, rehearsal dinners, oyster roasts and various business functions. 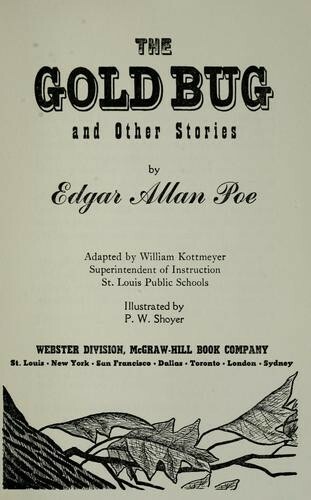 Gold Bug Island gets its name from the short story, “The Gold-Bug” written by Edgar Allan Poe. Set on Sullivan’s Island, South Carolina, the plot follows William Legrand, who was recently bitten by a gold-colored bug. His servant, Jupiter, fears Legrand is going insane and goes to Legrand’s friend, an unnamed narrator, who agrees to visit his old friend. 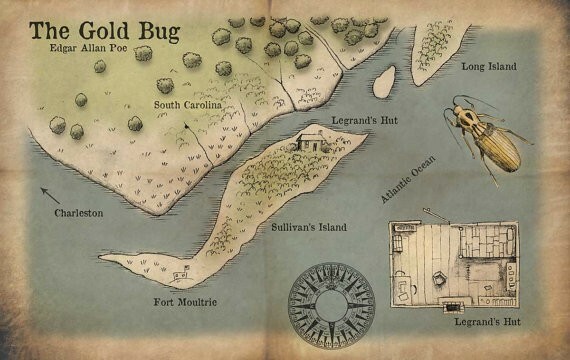 Legrand pulls the other two into an adventure after deciphering a secret message that will lead to a buried treasure.